Our iPhone piano apps roster should be of interest to those who secretly wish to play the instrument in question, but never really got around to learning. Besides applications that help you learn piano, we have added software that let you play it in case you are good at it and do not find the time to practice. Considering that these alternatives let you carry your piano along, you can enjoy your music, compose numbers and even organize jam sessions with friends regardless of where you are. 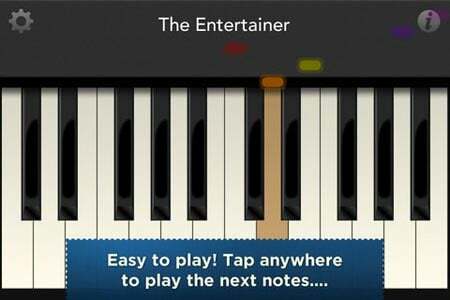 According to the developers of this application, Tiny Piano is one of the easiest ways to play the instrument. One of its greatest advantages is the fact that you need not be an exceptional player nor do you have to hit the right key in order to reproduce the correct note. All you have to do is touch the screen of your smartphone in time for the right sound. Moreover, it lets you be the judge of the timing and the rhythm, so you decide whether you want to play a fast song or keep it slow. It has been added with about 70 free tracks and allows you to unlock a number of other songs by some very famous artists. 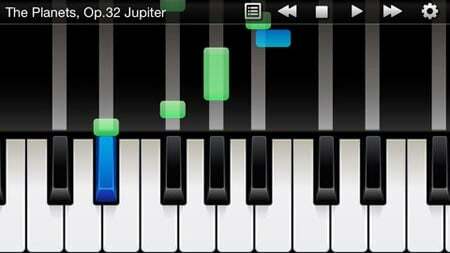 Next up on our catalog featuring piano apps is a multitasking software that can efficiently record songs you compose. It also permits you to play your MIDI files. The tool claims to adopt a rather different method to ensure your new song comes out just perfect. This application can be used to pre-record a song in three different parts that can be merged together while recording the track. You can adjust the velocity as well as the tempo and record the song in the MIDI format. It can then be exported to a PC for editing purposes. Doesn’t matter if you haven’t really learned to play the instrument, you can still call yourself a piano player if you install the FingerPiano, albeit a virtual one. With FingerPiano installed on your handset, you need not have the skill. All you require is the motivation to play music and you are good to go. As opposed to the score, the application features on-screen scrolling guides which facilitate playing music on the iPhone. Loaded with 88 famous tracks, the app can be played with either one or both hands and encourages you to have musical sessions with family and friends to show off your expertise with the virtual piano. 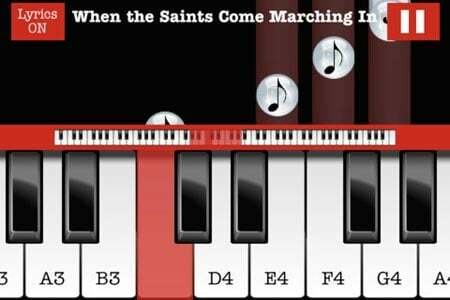 This alternative in our queue of piano apps takes pride in being an application that makes the daunting affair of learning to play the equipment in question, an easy feat. It goes as far as to say that you can become a pro at playing piano without ever receiving a private lesson. 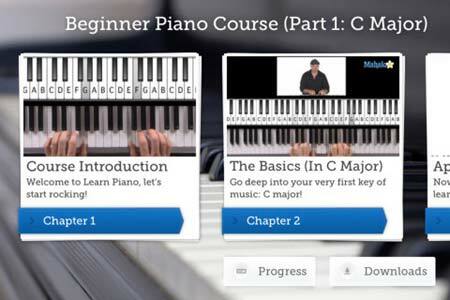 The developers of the app have joined hands with Piano Darling, an instructor who works towards teaching you the basics so you can become an expert at it in no time. You can have your own concerts and master holiday classics too. 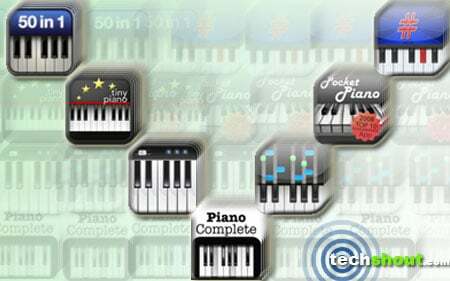 As the name suggests, this software is a ‘complete piano’ that teaches you to play various songs. With over 500 numbers belonging to a variety of genres and as many as 1000 piano lessons loaded into it, the application is sure to turn you into a veteran at playing the instrument. And that’s not all. Each song is accompanied by sheet music as well as falling notes and can be played with just one hand or even with both hands. It is said to be capable of teaching you the tempo of a number instead of only notes. The software lets you adjust the reverb and metronome and resize keys of the multi-touch piano according to your convenience. 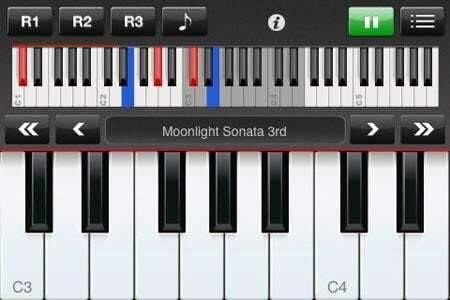 50in1 Piano is another application on our lineup of piano apps that works towards helping you to learn the instrument. 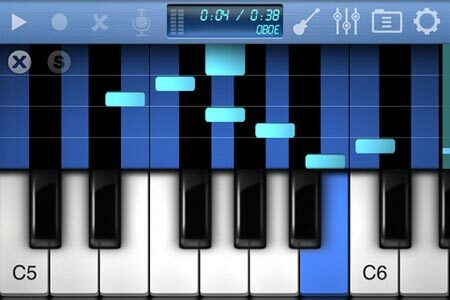 Apart from this, it lets you compose songs and even sing while playing on photorealistic piano keyboard featuring 85 keys. Complete with real-time effects, it boasts of as many as 100 lessons and allows you to position and resize the keyboard with simple gestures. Some of its other attributes are 3-band equalizer, 100 drum beats, 18 demo songs and 50 studio-recoded instruments that are said to be sampled using real instruments. It is optimized for the Retina display and enables you to transfer songs to Mac or Windows computers via USB. Pocket Piano tags along a number of features along with improved sound and graphics that are inclusive of a double row keyboard, record, playback, metronome and more. The app lets you carry not one, but two pianos and allows you to select one from amongst them. It even permits you to play your tunes using two full octaves and its notes are recorded from real pianos to ensure that it produces authentic sound. It allows you to play five keys simultaneously, while its double row keyboards displays 30 keys at the same time. The app can even be customized using multiple skins. 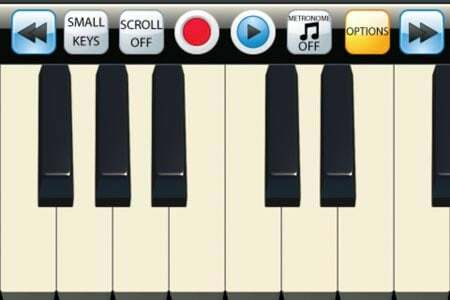 These iPhone piano apps go on to prove that you do not need the real equipment in order to compose songs or have musical sessions with friends and family. So if you are one of those music enthusiasts who wish to play piano but couldn’t learn it due to your busy schedules, you should definitely give one of these applications a shot. And once you are done experimenting with them, do come back here to let us know about your experiences at mastering the instrument virtually.